Combine measureables: 6-foot-1, 208 pounds. Combine stats: 40: 4.65 seconds. Vertical: 39.5 inches. Broad jump: 9 feet, 11 inches. 3-cone drill: 7.09 seconds. 20-yard shuttle: 4.33 seconds. 60-yard shuttle: 12.03 seconds. Career stats: 52 games, 233 tackles (141 solo, 14 for loss), one sack, 12 interceptions, 24 passes defensed, three forced fumbles. 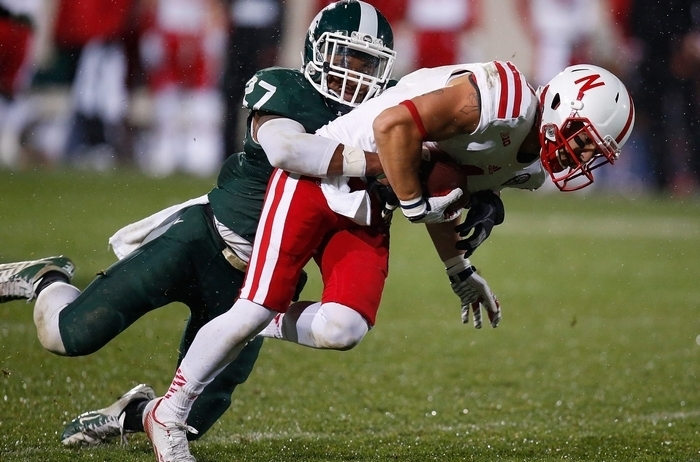 Lowdown: Drummond was the Big Ten Defensive Back of the Year and a third-team All-American as a senior. He started the final 34 games of his career at free safety and finished tied for seventh in program history with 12 interceptions. Was a senior captain and leader of the secondary. … Has good closing speed and a knack for making plays on the ball. … Does not bring a physical presence to the backfield and is a below-average tackler. … Compared to Bills safety Aaron Williams by NFL.com draft analyst Lance Zierlein. They said it: “He wasn’t the same guy. I think he tried too hard, and I think if you’re trying to justify being a big-time guy and making every play, and I think it got him into some trouble. He could ultimately be a really good addition to someone because I think he can play man. I know he can cover over the top and erase some mistakes that happen underneath.” – NFL Network draft analyst Charles Davis. The Buffalo News is profiling 45 prospects in 45 days leading up to the NFL Draft, which begins April 30.